This is the first-ever career-spanning Cher compilation, sampling 21 of her biggest hits. She is a Grammy-winning recording artist and an Academy Award winning actress. 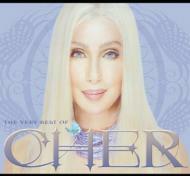 The Very Best of Cher brings together Cher favorites from all eras. It is a testament to one of the most remarkable and enduring careers in music.